Perpetually-fucked Washington D.C. completely shut down the city’s Metrorail system today, essentially cutting off the majority of the people who travel to work in our nation’s capital on a daily basis. 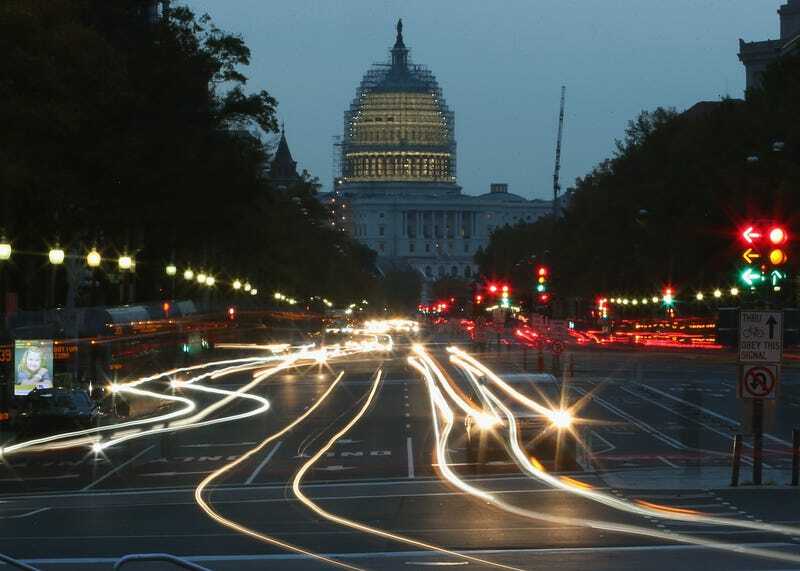 Meanwhile, D.C. area Uber ride-sharing app downloads shot up by 70 percent. That’s no coincidence! According to Fortune, app downloads for Uber went up 70 percent, there were 50 percent more Uber drivers on the roads of D.C., and first-time ridership shot up almost 300 percent during the busy hours of the 29 hour Metrorail shutdown. Uber had promised to cap it’s surge pricing for the day at 3.9x but, with the increase in driver force, the highest surge rate only got up to 1.7x. Uber knew what to expect and offered a $25 credit to new users, and Lyft jumped in on the ride-sharing enlightenment by offering a $20 credit for its new D.C. users. We can’t really be too surprised that the fastest growing and largest alternative to public transportation (beyond personal car ownership) saw a huge gain when over 700,000 Metrorail riders were suddenly without a way to get to work. The metro is scheduled to open again Thursday morning at 5 A.M., but it will be interesting to see how many people stick to their new ride-sharing alternative.